The inexpensive way to shoot all day. Wolf® .223 Remington Ammo that shoots smooth and accurate, at a terrific price. Cases are polymer-coated for smooth feeding. Berdan-primed, non-corrosive, non-reloadable. 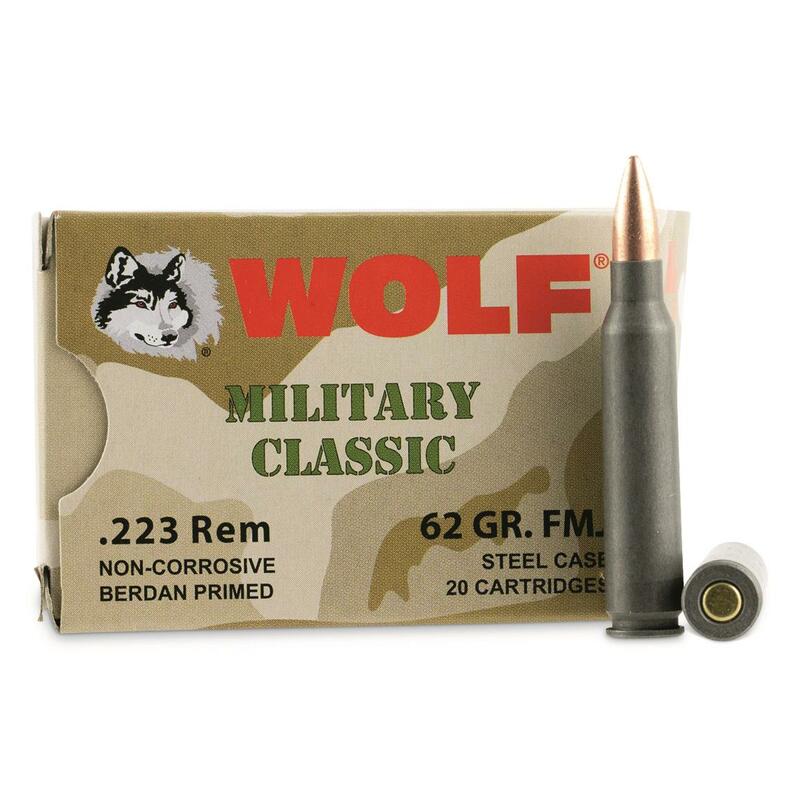 Wolf Military Classic, .223 Remington, FMJ, 62 Grain, 240 Rounds is rated 5.0 out of 5 by 4. Rated 5 out of 5 by Robalo77 from Excellent value. I have a 1 in 7 barrel on my AR and this ammo worked very good. No problem making hits out to 500yds+ great plinking ammo! Not match grade but worked well for me. Rated 5 out of 5 by Ringo from Bloody great ammo! Rated 5 out of 5 by JOHN from So far, so good. Feeds well and each one goes bang when I pull the trigger. 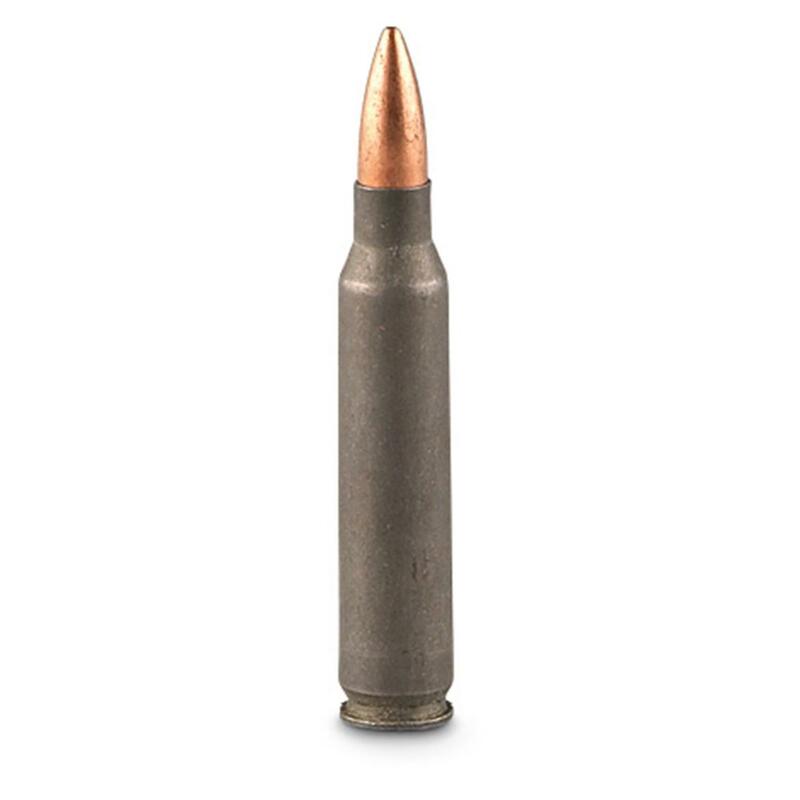 Top-quality Wolf Ammo…in a brass case.